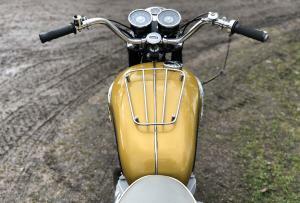 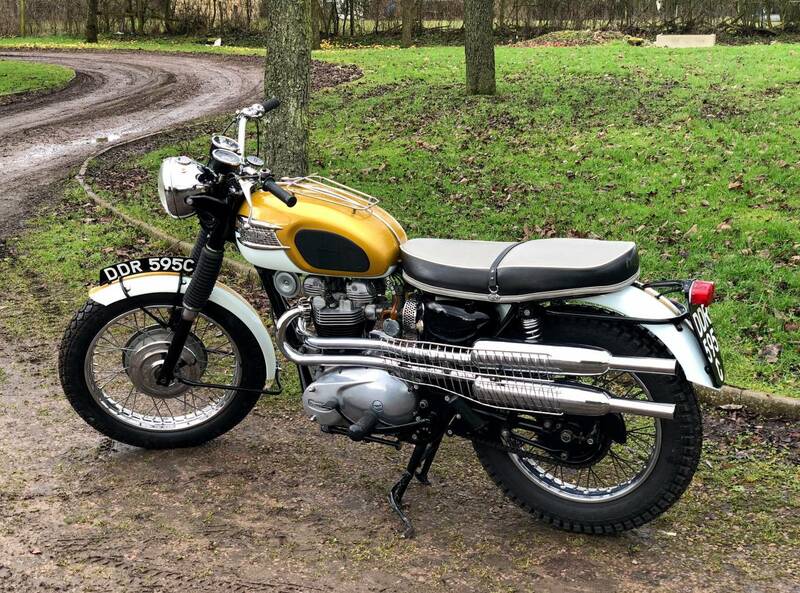 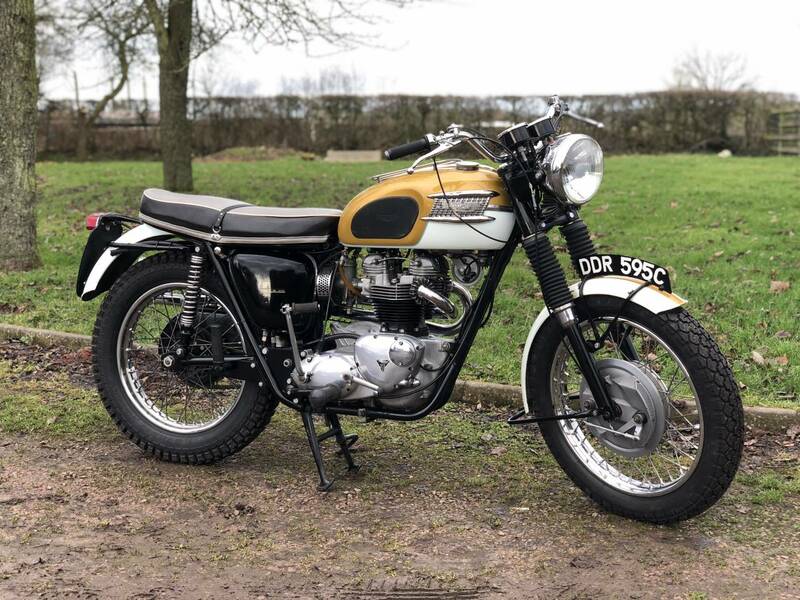 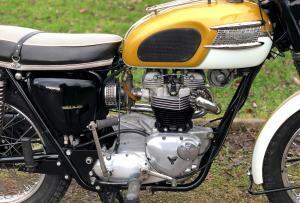 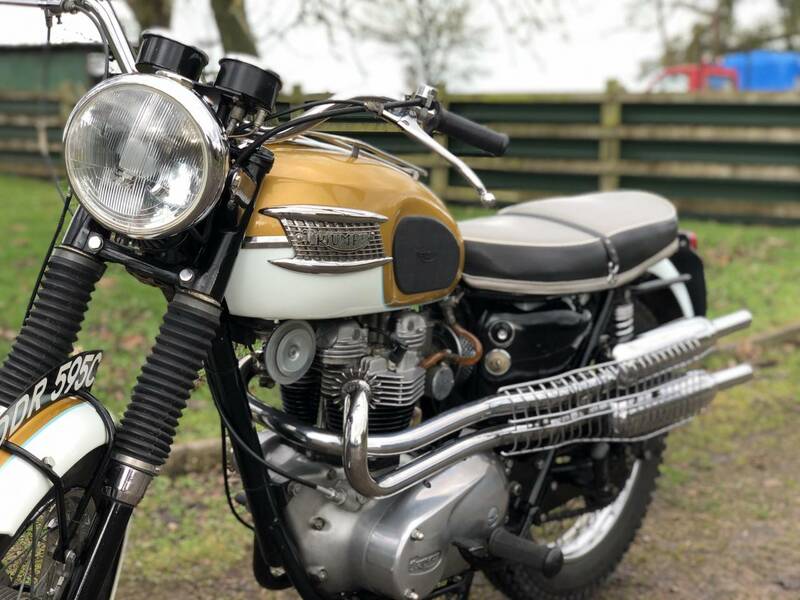 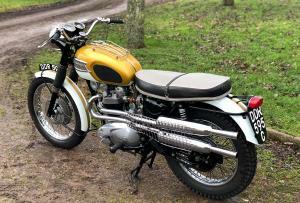 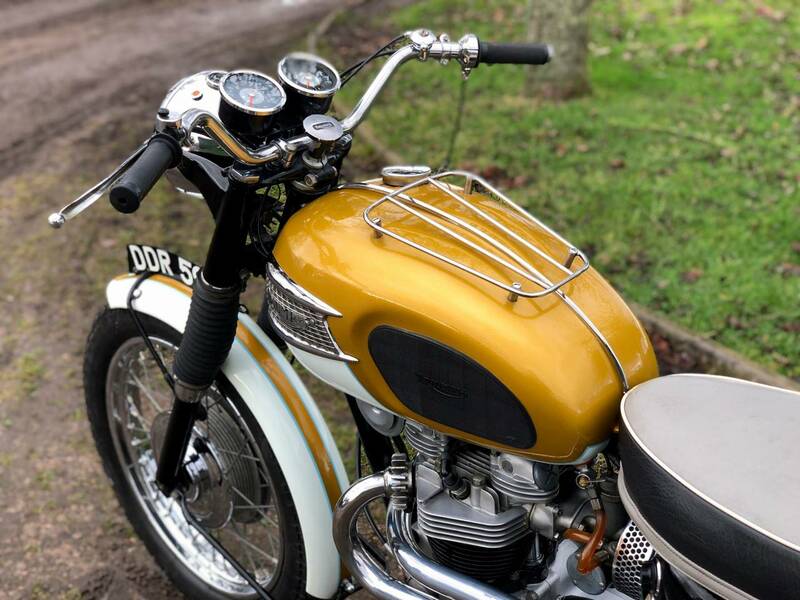 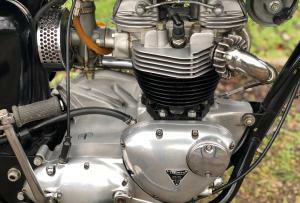 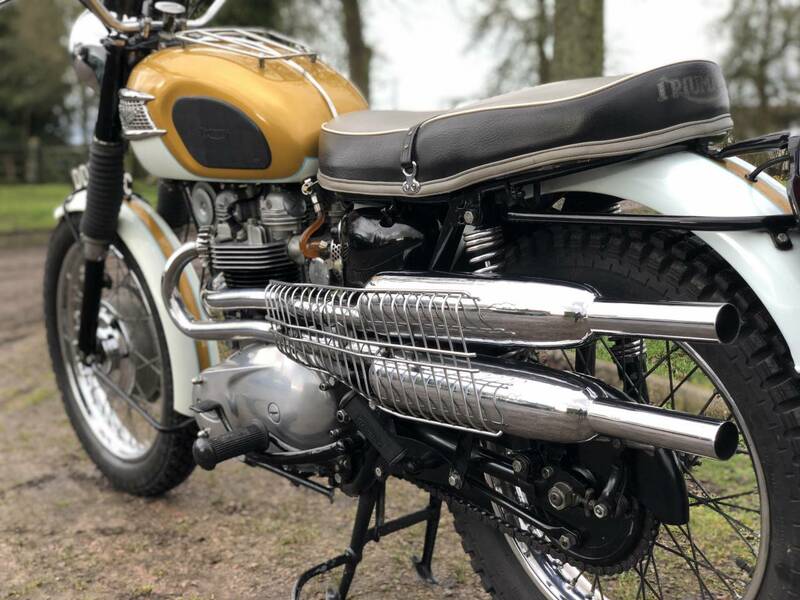 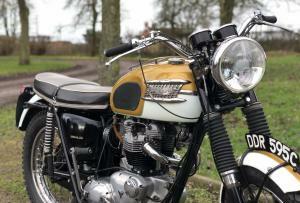 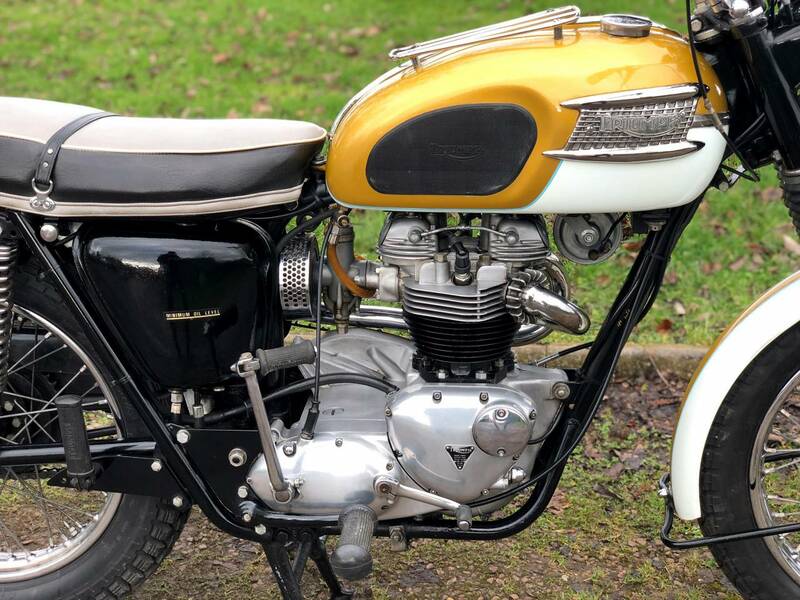 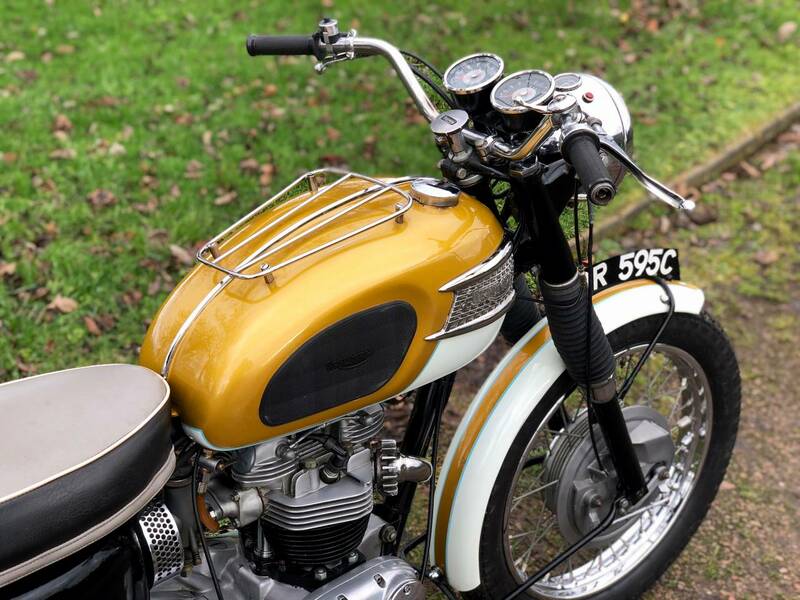 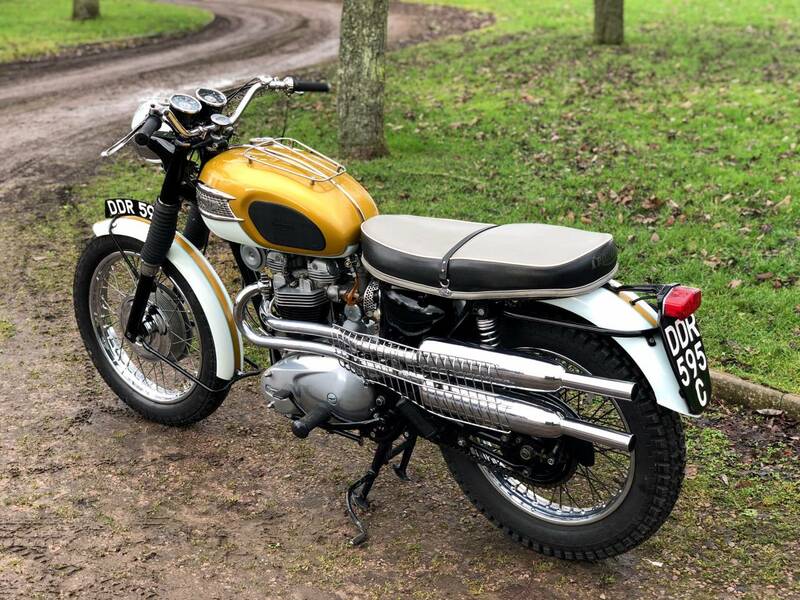 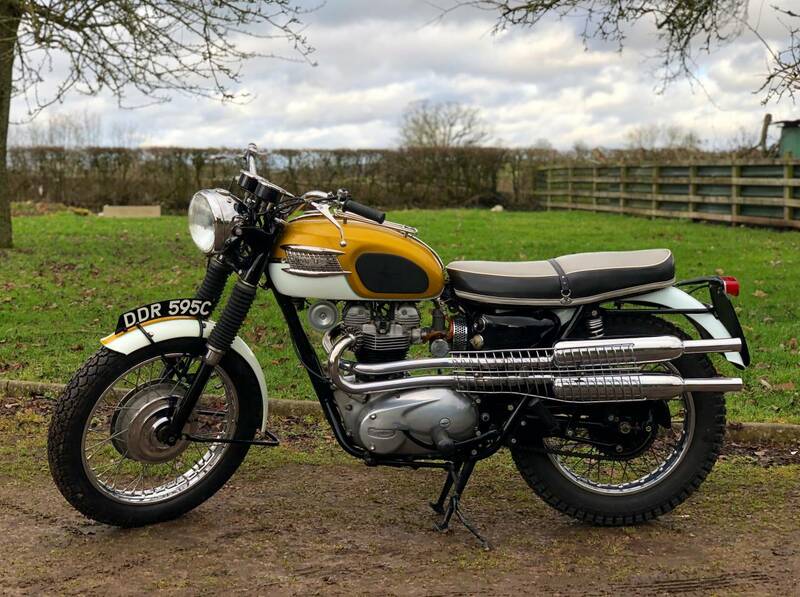 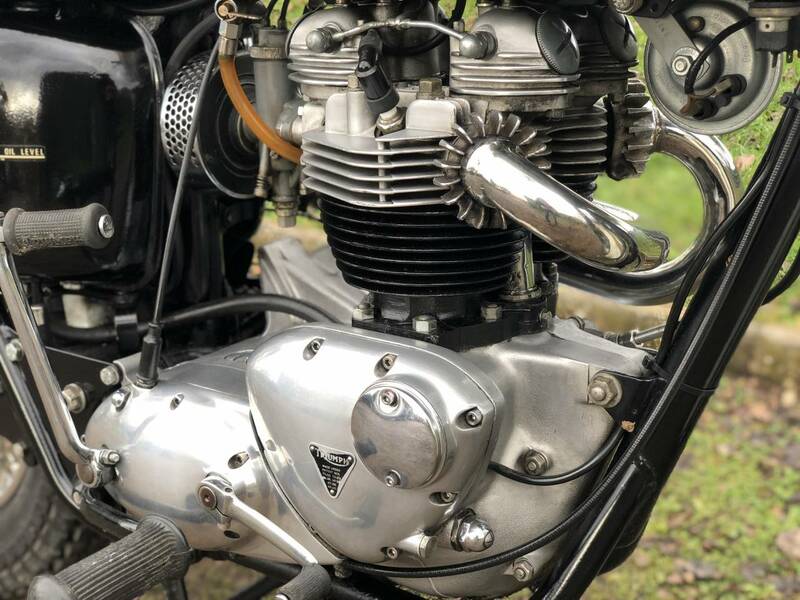 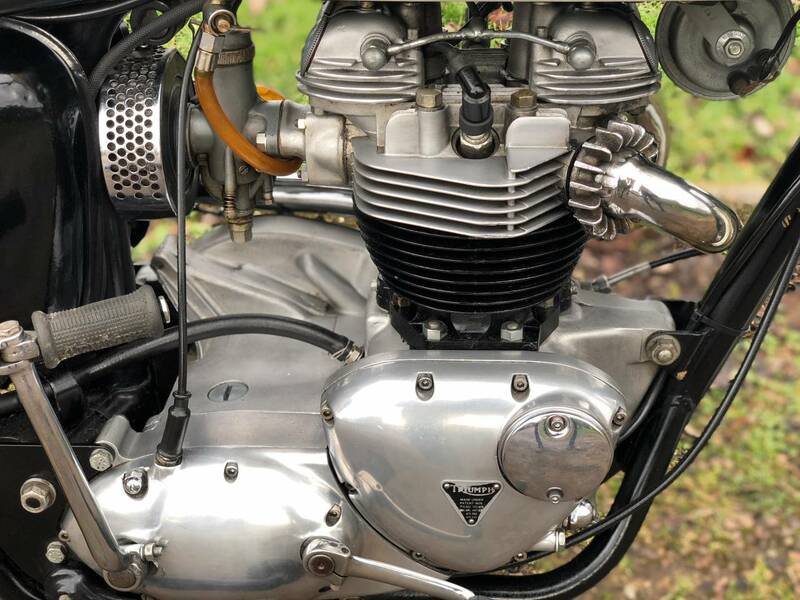 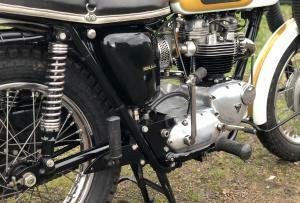 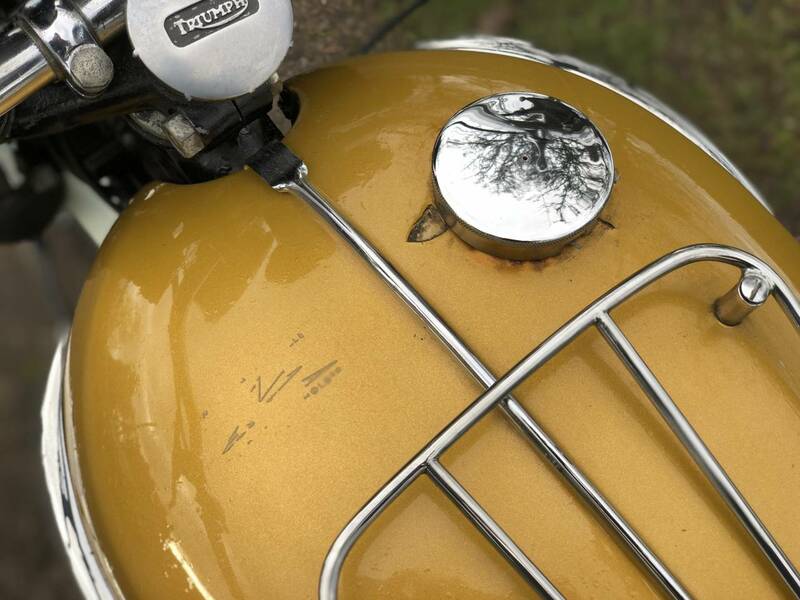 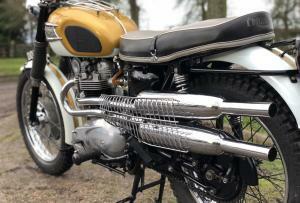 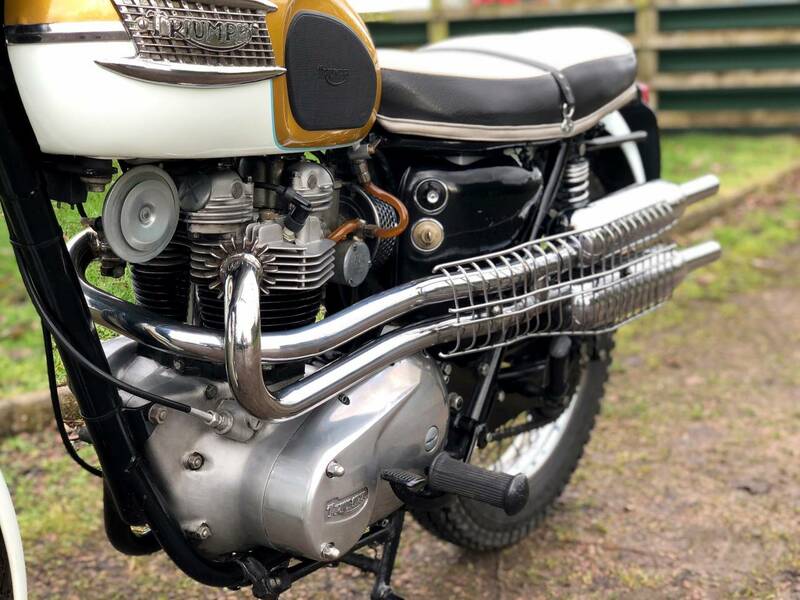 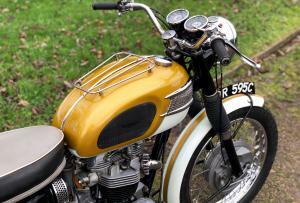 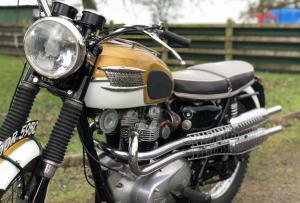 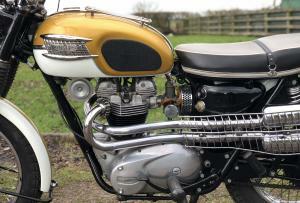 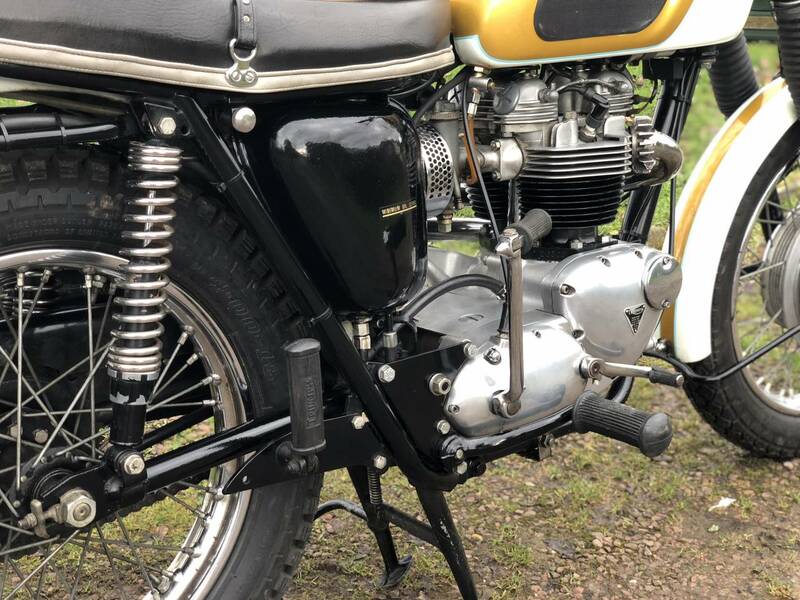 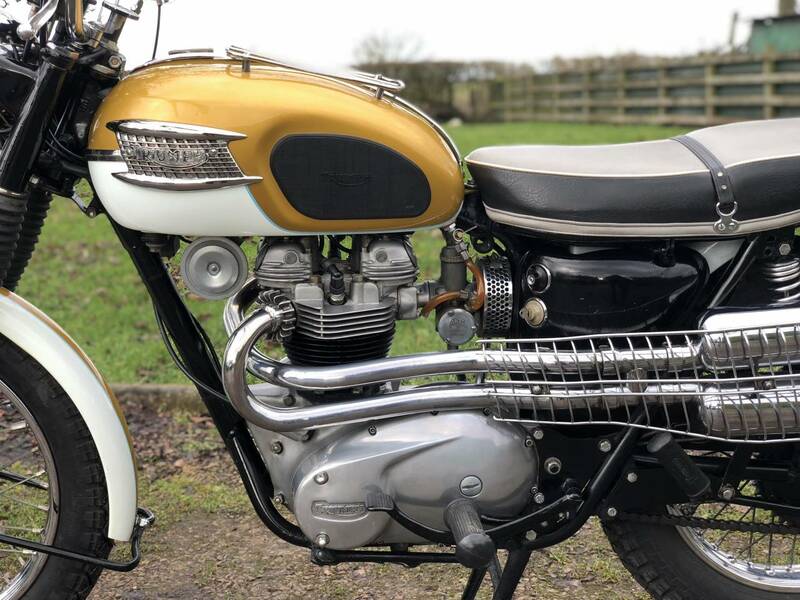 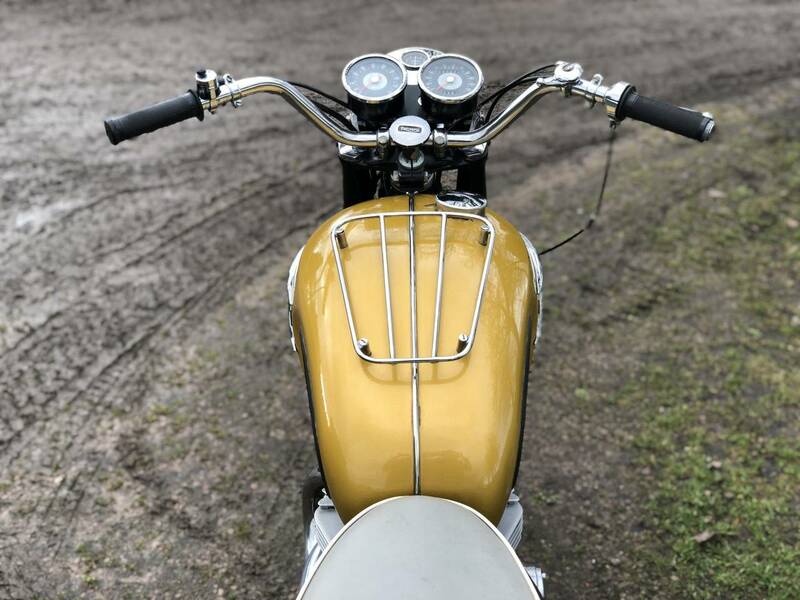 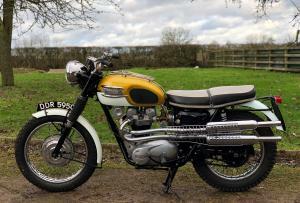 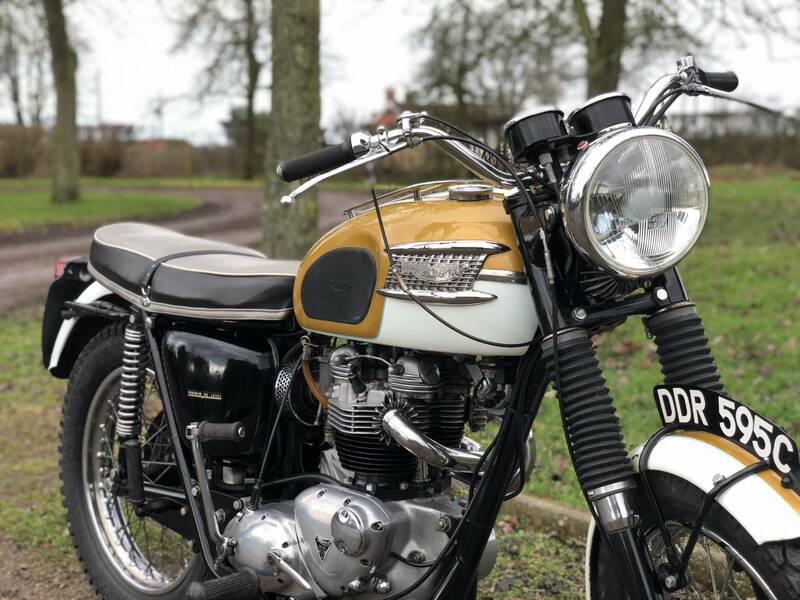 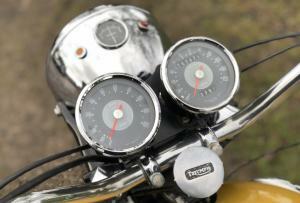 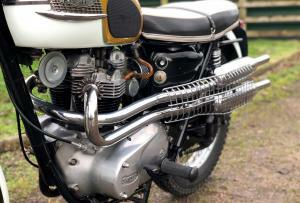 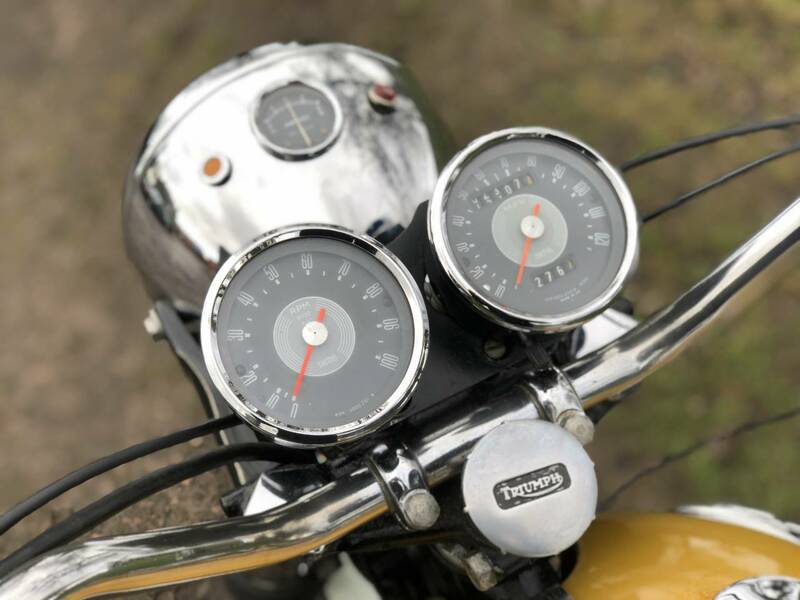 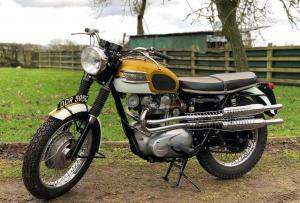 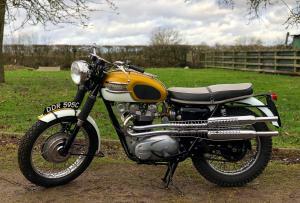 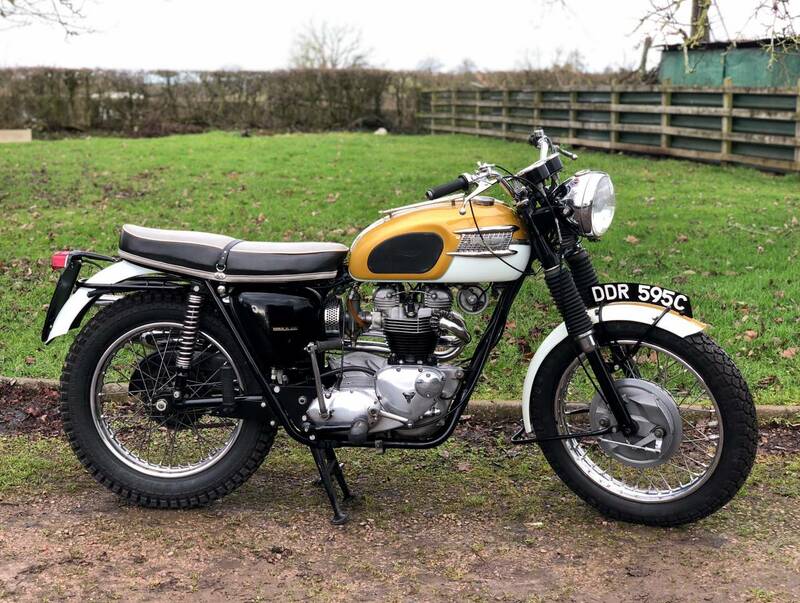 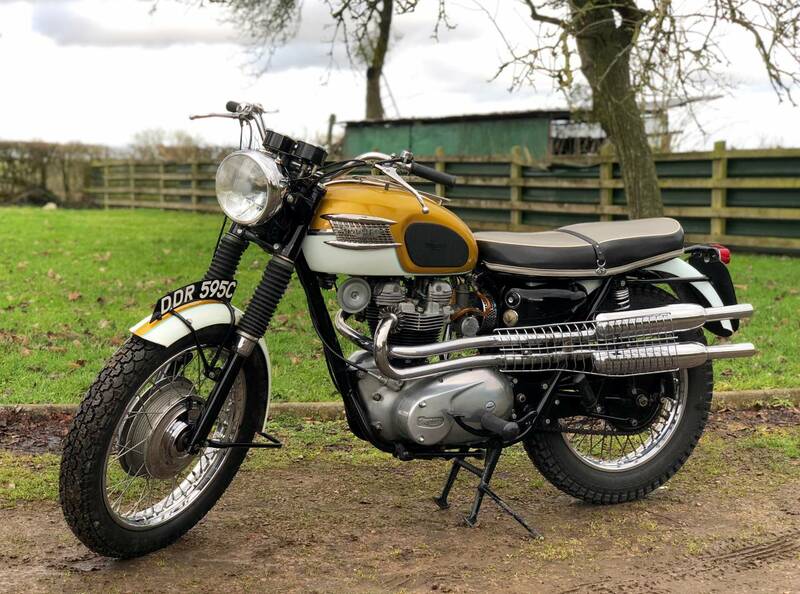 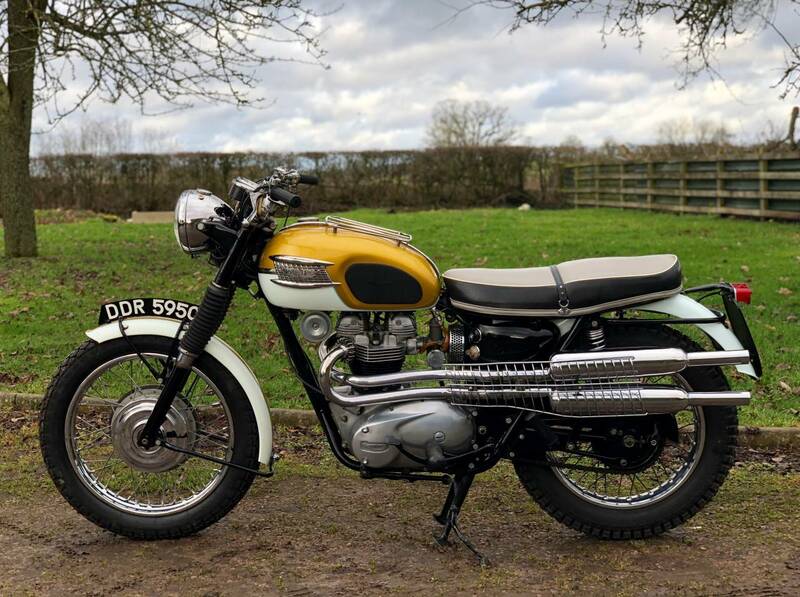 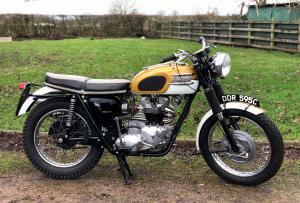 Triumph Trophy TR6SS 1965 650cc , In Correct Gold And Alaskan White Colour Scheme .This Is A Rare Example And A Genuine UK Model, In Lovely Original Spec ' Condition , With Matching Numbers And Fitted With The Superior TLS Front Brake , As A Good Upgrade . 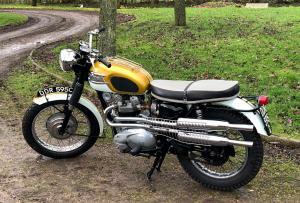 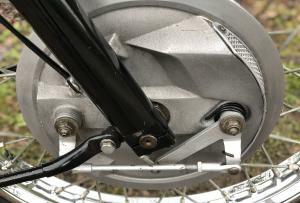 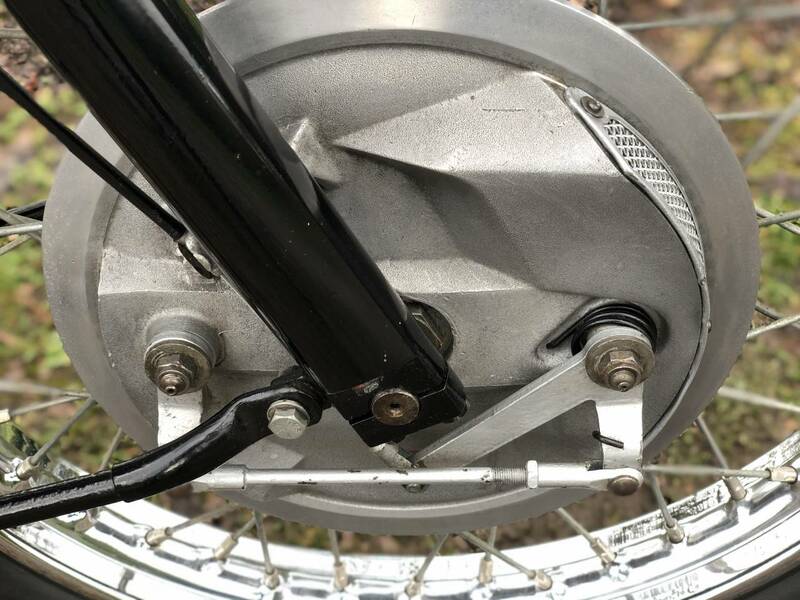 Has Recently Had An Expensive Top End Rebuild And New Brakes And MOT, So Ready To Go. 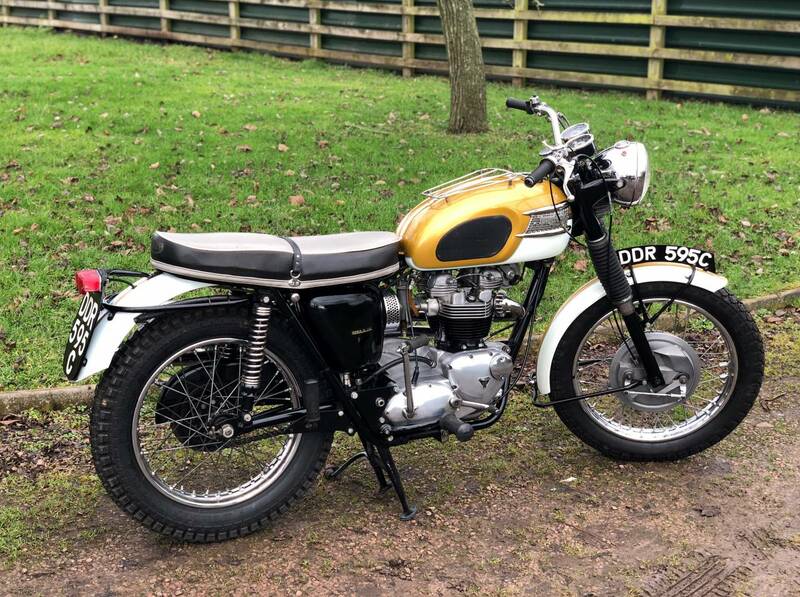 Starts Very Easily , Sounds Superb. 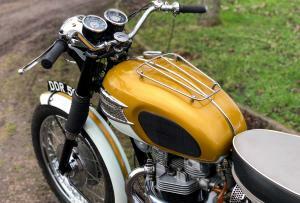 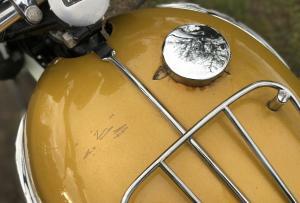 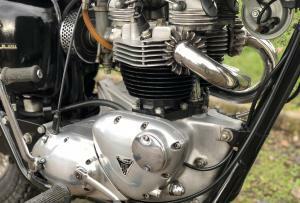 Not Concours , But Looks Lovely , With Nice Patina Of Age. 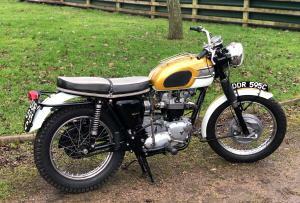 As A Rare Model , Is A Great Investment .